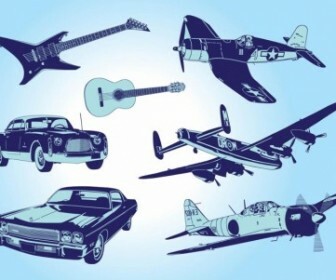 Transport Silhouettes Vector Pack – Zip vector file (1.98 MB) Encapsulated PostScript (.EPS) format, Adobe Illustrator (.Ai) format. 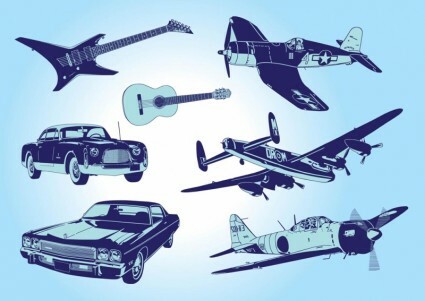 Free vector art stock footage pack with vintage cars, retro airplanes and guitar graphics.. The color scheme and graphics make this vector backdrop download a nice choice for tshirt logo or greeting card business design, making posters, or web background design.